As parents, we give our children many gifts. By cuddling them in their favorite chair, we give them a sense of security. By applauding their “acrobatics” at the playground, we encourage their self-confidence. By exploring a tide pool with them, we stimulate their curiosity. And there’s one more gift we can give that does all that and more—the gift of reading. 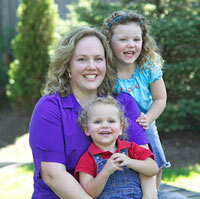 I’m Julie Temple Stan, Editorial Director of Early Moments book clubs and mother of two (energetic) young children. I’d like to tell you a little about sharing the gift of reading and how Early Moments can help. The people who founded Early Moments are not just editors and publishers; they’re parents like you and me. In addition to having backgrounds in education, many of us have been in the field of children’s publishing for years. We’re deeply committed to providing you and your children with the highest-quality, most enjoyable reading experiences possible. Early Moments may be a new name to you, but we’ve been publishing children’s book clubs for more than 45 years. We’re proud to support some of America’s most prestigious brands, including Dr. Seuss™, Disney, and Baby Einstein®. Our parent company, which is headquartered in Norway, was founded in 1965 by a young journalist who was looking for guidance in caring for his newborn. He brought together child development experts and published a guide entitled Spesbarnsboken, which he gave to new mothers through hospitals. Now in its 42nd edition, The Baby Book has been continuously published throughout Europe. In all those years, we’ve learned a lot about kids, parents, and why reading is one of the most important things you can do with your child. By reading with your child every day, making sure he has relevant and engaging books, and setting an example as a reader, you can help promote early literacy. You can prepare your child for a lifetime of learning and enjoyment. At Early Moments, we’re committed to being one of your most valuable early literacy resources. We invite you to contact us to learn more about how we can help you and your children as they set about becoming lifelong readers.